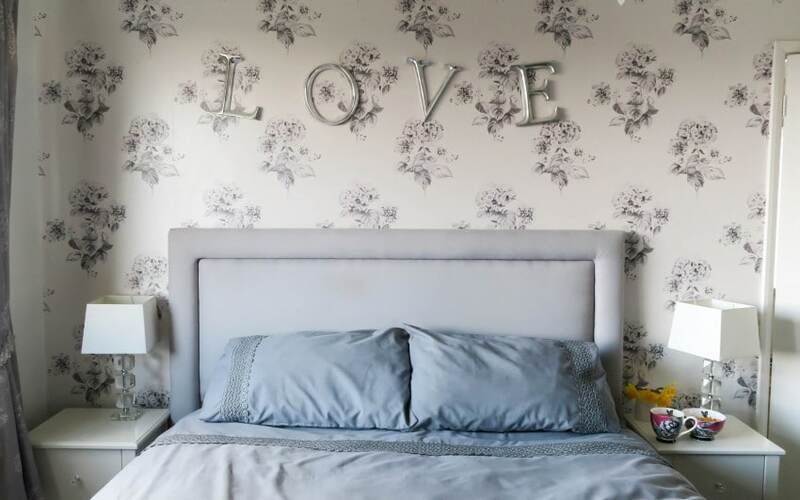 Got plans to redecorate your bedroom but don’t know where to start? The first thing you should think about is choosing the colour palette you want – and we have a big crush on grey bedroom décor at the moment! From a light heather grey to a dark slate grey, there are so many shades to fall in love with. Far from being boring, grey tones are the perfect way to add some personality to your rooms and it’s very trendy thanks to its elegant simplicity and modern style. We’re big believers in the psychology of colours and how they can make a massive impact on your mood. Your bedroom is supposed to be a place of relaxation, so it makes sense that you’d want to choose a colour with calming properties. Grey is an unemotional colour, but that’s a positive trait when it comes to décor. It means that any grey tones in your room can help you clear your mind and feel composed and stable – perfect to help you unwind before bedtime. Whatever shade you go for, the colour grey always looks modern and stylish. It’s no wonder why we’re seeing so many bloggers and interior designers embracing grey tones in their homes at the moment! Whether you go all the way with grey painted walls or keep it reserved with just grey furniture and home accessories, you’re guaranteed that they’ll match perfectly with everything. Add white or oak furniture, like the gorgeous pieces from The Cotswold Company, to add some extra colour depth to your grey painted room, or go all out and decorate your home in different shades of grey! The great thing about choosing grey décor is that you can have fun with it. If you like to refresh your home quite regularly, using grey as a base colour means you can change up the accessories and refresh your home without having a complete overhaul. Yellow, navy, pink and green all compliment grey really well, so you have your pick of colours if you want to decorate your room to match your mood. Then, when you fancy a change, you can simply choose new bedding, curtains and artwork to make your room feel brand-new. That means you get to unleash your inner interior designer without breaking the bank! If you’re looking for a modern, stylish and relaxing feel in your bedroom, you should consider opting for grey tones. It’s a simple palette that looks perfectly put-together whatever furniture or colour you decide to accessorise with. Add some style and individuality to your home by choosing grey décor!